If you are interested in luxury condos overlooking the water, look no further than Ocean Terrace North in Highland Beach, Florida. 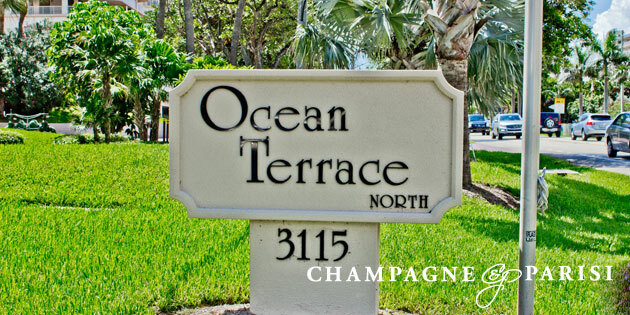 Ocean Terrace North is an upscale condominium and town home building that rises above the sparkling Atlantic Ocean. Ocean Terrace North Highland Beach’s 43 residences are built into 12 floors and range in size from 1,800 square feet to 3,000 square feet. Each unit is sure to amaze with many upgrades added throughout. Some of the features include large chef’s kitchens, marble floors, impact windows fit for hurricane season, oversized master bathrooms equipped with steam showers, balconies, granite countertops, new appliances, and so much more. Residents at Ocean Terrace North Highland Beach can enjoy resort-style amenities such as a private beach with lounge chairs, fitness center, sauna, club room, game room, billiards room, and on-site storage room. Ocean Terrace residents can also relax on the sundeck by the gorgeous heated pool, or gather together with friends and family at the outdoor barbecue area. The building is equipped with 24 hour security for residents’ safety, doorman, and concierge to take care of everyone’s needs. Residents have access to parking in their own assigned spots underground as well. Good news if you own a pet, Ocean Terrace North is pet friendly for residents! Ocean Terrace North Highland Beach is located between two of South Florida’s major cities. Residents can strut down the famed Downtown Delray Beach Atlantic Ave, enjoy Boca’s Mizner Park, and enjoy many other boutique style shops and fine dining establishments in between.